The Chairman of the management board of Glavbolgarstroy Holding Eng. 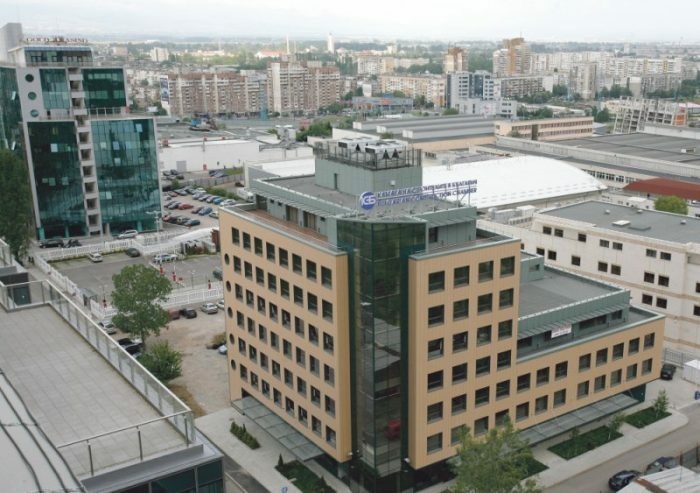 Kalin Peshov was elected Deputy chairman of the Bulgarian construction chamber after a secret ballot. Kalin Peshov did his Master’s degree at the Technical University of Sofia, followed by a Master’s degree in Business Administration from Business School Lausanne and an EMP program at Wharton, the University of Pennsylvania. He joined the team of Glavbolgarstroy in 2002 and initially worked as Marketing manager of the company. In 2006 he became Executive director of Glavbolgarstroy Holding, and in the beginning of 2011 he became Chief executive officer at the company. Since 2013 he is Chairman of the company’s management board. At the beginning of the session of the General assembly, the Honorary chairman of the Bulgarian construction chamber, Mr. Simeon Peshov, awarded Eng. Ivan Boykov and Eng. Nikolay Stankov with the honorary sign of the Bulgarian construction chamber for merit in the development and strengthening of the organization.